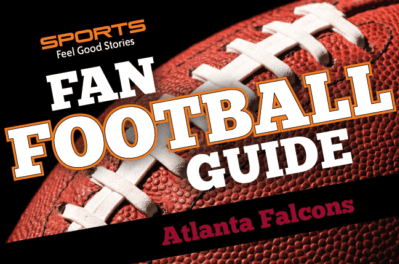 This Atlanta Falcons Fan Guide will get you pumped for the NFL season if you’re a fan of the Dirty Birds. It’s a great resource for the season schedule, famous players, rivalries and traditions. The Atlanta Falcons joined the NFL as an expansion team in 1965, when the league granted the Atlanta-based insurance executive Rankin Smith the franchise for a then-record $8.5 million. The Falcons were the 15th team to join the league, and their arrival precipitated the institution of a Bye Week in the schedule. 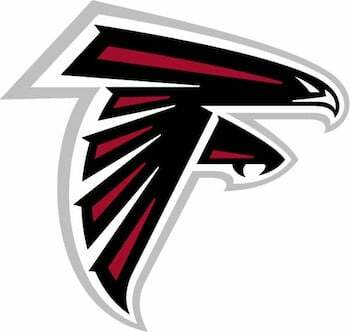 The Falcons almost didn’t exist though, because in 1964, the Cardinals, then in St. Louis, considered moving to Atlanta. The franchise decided to stay in St. Louis only after the city agreed to build the club a new stadium, which would become Busch Memorial Stadium. Throughout their existence, the Falcons have struggled. They’ve won only 44.3 percent of their games all-time, the fourth lowest mark in NFL history. During their 51 years of existence, Atlanta has made the playoffs just 14 times, but they have made two Super Bowls. In 1998, the “Dirty Bird” Falcons soared to a 14-2 record and won the NFC for the first time in franchise history. They played in Super Bowl XXXIII against the Denver Broncos, but lost 34-19. In 2016, the Falcons rode a dominant offense to Super Bowl LI versus the New England Patriots. But despite a 28-3 lead, Atlanta lost to the Pats in overtime 34-28. Enjoy this Atlanta Falcons Fan Guide. 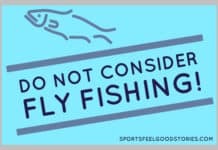 In 1998, the Falcons took hold of the NFL consciousness with a celebratory touchdown dance known as “the Dirty Bird.” Popularized by running back Jamal Anderson, the arm-flapping jig was just the thing to take the league by storm. With Atlanta being the burgeoning hotbed of hip-hop music, the dance added to the team’s dream run to the Super Bowl that season. Falcons head coach Dan Quinn modeled his team’s culture on the approaches of Seattle Seahawks coach Pete Carroll, Golden State Warriors coach Steve Kerr, and the Navy Seals. Incorporating these ideals helped make Quinn a players’ coach very quickly, and the “in brotherhood” uniting principal has spurred some incredible, goosebumps eliciting hype videos. Rise Up – This is the rallying cry of Atlanta Falcons fans, and the name of a popular gospel song. In the stadium, fans will unfurl giant “Rise Up” banners and pass them throughout the crowd as part of this cheer, as well as wave red “Rise Up” flags. Falcons fan Samuel L. Jackson starred in a team commercial in 2014 centered around the rallying cry, and this was years after Jackson sold concessions at Falcons games while he attended Morehouse College. The Falcons moved into their new state-of-the-art home, Mercedes-Benz Stadium, in 2017. One of the biggest upgrades in their new digs is at the concession stands. Mercedes-Benz Stadium goes all-out in terms of food and drink, with 1,264 beer taps on site, and their stadium fare is among the most affordable in the league. If you find yourself in the ATL for a game, make sure you visit Delia’s Chicken Sausage Stand for a “Hot Mess,” which features chicken sausage, chili, cheddar cheese, pickled jalapenos and their signature “comeback” sauce. You can also pick up delicious Smoked Cheddar Cheesesteak Fries at Top Chef Kevin Gillespie’s Gamechanger, or the classic smoked BBQ wings at Fox Bros. BBQ. You can find vegan and vegetarian options at ATL Fan Fare. Check out SB Nation’s @TheFalcoholic, the definitive source of Falcons analysis, news and tomfoolery. As far as players go, check out Julio Jones @juliojones_11 or Calvin Ridley @calvinridley1 for great follows. Falcons vs Saints – This divisional rivalry dates back to Atlanta’s second season in the league. In 98 all-time meetings, the Falcons are 52-46, including the rivalry’s only postseason win in 1991. The rivalry picked up considerably when the two squads were placed in the same division in 1970. The Falcons were the Saints first home opponent post-Hurricane Katrina, and New Orleans was the last team Atlanta faced in the Georgia Dome before moving to Mercedes-Benz Stadium. Atlanta has won three of the last four matchups between the two teams. Falcons vs Panthers – This rivalry dates back to Carolina’s inaugural season in 1995, and they’ve played twice every year since. In 45 all-time meetings, the Falcons lead 28-18. This natural geographic rivalry makes sense considering the two cities are only four hours apart by car. The Falcons upset the Panthers’ bid for an undefeated season in 2015, beating Carolina in Week 16 at home. Atlanta has won five of the last six meetings between the two teams. The Falcons don’t officially retire the jersey numbers of their greatest players, choosing instead to elect them to the team’s Ring of Honor. The Falcons Ring of Honor was featured in the rafters of the Georgia Dome. Now, the Ring of Honor stands outside Mercedes-Benz Stadium at the site’s “Front Porch” entry. There are 10 former Falcons enshrined in the team’s Ring of Honor, including Pro Football Hall of Famer Deion Sanders, who wore No. 21. Fans can also see former linebacker Jessie Tuggle, No. 58, and the franchise’s first-ever draft pick, Tommy Nobis, No. 60. Will Julio Jones’ holdout affect the team? Jones wants a restructured deal. He’s currently the 12 highest paid receiver out there, behind the likes of Allen Robinson, Paul Richardson and DeSean Jackson. He should be paid more than those players, but the team doesn’t need to worry about that since they have Jones under contract for at least another year. If Jones holds out for a significant amount of time, it shouldn’t be a big deal for quarterback Matt Ryan, considering the two have played together since 2011. It may affect rookie receiver Calvin Ridley though. Can the Falcons win at least 10 games for the third year in a row? Coming off their deflating Super Bowl loss in 2016, the 2017 team sputtered to an 4-4 record through eight games. They got it together enough to make the playoffs and were one play away from upsetting the eventual Super Bowl champion Philadelphia Eagles in the Divisional Playoff round, but head coach Dan Quinn would feel far more comfortable with a fast start this season. They’ll benefit from a third-place finish schedule this season, and that could lead to double-digit wins in 2018. Can Matt Ryan return to his MVP form? Ryan regressed in 2017 after a historic 2016 run that landed him league MVP. On paper, he’ll have a number of weapons to deploy, including Jones, running back Devonta Freeman, and rookie receiver Calvin Ridley. He’ll need to justify his $30 million salary this season, but he should be able to do it. The black falcon crest logo is one of the most iconic in all of sports. In 1965, the Falcons patterned their overall look after the two major college programs nearby, the University of Georgia and Georgia Tech. The Falcons red and black color scheme pays homage to the Bulldogs, and from 1966 to 1970, the team’s helmet featured a pair of gold and white stripes on the helmet in reference to Georgia Tech. In 1990, the team moved away from the red and embraced the black helmets and silver pants, preferred by then-head coach Jerry Glanville. This iconic look was popularized by “Neon” Deion Sanders. In 2003, the team reimagined their look, bringing red back to prominence. 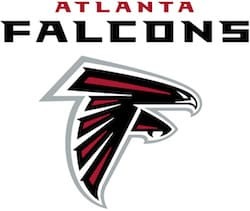 The logo was redesigned with red and silver accents to depict a more aggressive falcon, which now more closely resembles the capital letter F. The team adopted a red jersey as their primary look in 2004. 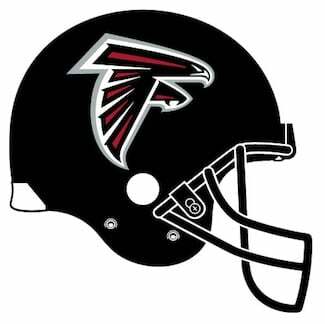 The Falcons franchise has seven players and one coach in the Pro Football Hall of Fame, but only two of those players (Deion Sanders and defensive end Claude Humphrey) played the majority of their career in Atlanta. Tommy Nobis – The very first draft pick in team history, Nobis was a linebacker for the Falcons from 1966 to 1976. His 294 tackles as a rookie still stands as an unofficial league record. Deion Sanders – “Neon” Deion, or “Prime Time” as ESPN’s Chris Berman dubbed him, began his high-stepping Hall of Fame career with the Falcons. He was the fifth overall draft pick in 1989. In his five seasons with the team, he intercepted 24 passes and scored 10 touchdowns. He also played for the Atlanta Braves of the MLB from 1991 to 1994. Michael Vick – Now known more for the infamous dog-fighting scandal, Vick took the league by storm in 2001. He played for the Falcons from 2001 to 2006, when he became the first quarterback in league history to rush for over 1,000-yards. Vick’s videogame character for “Madden NFL 2004” is often argued as the most dominant videogame character of all-time. Jessie Tuggle – A five-time Pro Bowler and three-time All-Pro linebacker, Tuggle hailed from nearby Valdosta, Georgia, and helped lead the Falcons to their first Super Bowl in 1998. Tuggle played his entire 14-year career with the Falcons and holds the team record for most tackles with 1,640. 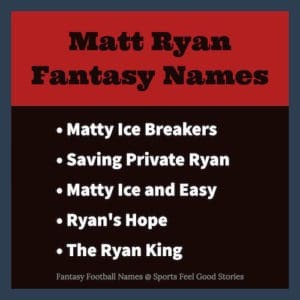 Matt Ryan – Hoping to bounce back from a subpar 2017 season, Ryan is looking to regain his MVP form from 2016. He averaged 4,693 passing yards and 29 touchdowns per season from 2012 to 2016, so look for him to put up big numbers this season. Calvin Ridley – This rookie wide receiver could become a great counterpart for perennial Pro Bowler Julio Jones. Offensive coordinator Steve Sarkisian coached Ridley at Alabama, so there should be some familiarity with the offense for the youngster. He’s an excellent route-runner and the team will be looking for him to replace the departed Taylor Gabriel’s six touchdowns from the slot position. Vic Beasley – The linebacker’s production took a nosedive last season, as his sack totals went from 15.5 in 2016 to just five in 2017. He and the rest of the defense will look to rebound from a difficult 2017 that saw them generate only 16 takeaways. If they want to make it back to the Super Bowl, they’ll need a big season from Beas. Dan Quinn is entering his fourth season as the head coach of the Atlanta Falcons. He’s parlayed his experiences with Pete Carroll and the Navy Seals to help build a solid team culture in Atlanta. He’s a defensive-centric coach, with all of his previous experience coming on that side of the ball, so he’s hoping offensive coordinator Steve Sarkisian improves in his second season with the team. Quinn’s Falcons have been over .500 in each of his first three seasons, and he’s looking for his third-straight 10-win season this year. Arthur Blank has been the primary owner of the Atlanta Falcons since purchasing the team from Taylor Smith, son of team-founder Rankin Smith, in 2002. Blank is best known for co-founding Home Depot. He owned the Georgia Force of the Arena Football League until the team folded in 2012. Blank also owns the Atlanta United franchise of Major League Soccer. See other awesome football sayings. Q: What do the Atlanta Falcons and possums have in common? David is a freelance sports writer who has spent the last 15 years as an English teacher. He holds a Master’s Degree in English and Creative Writing, and has coached high school basketball for 10 years. Follow him on Twitter: @ByDLFernandez. You’re on Atlanta Falcons Fan Guide.